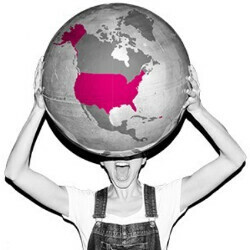 T-Mobile introduces its new 3-week plan for tourists in the U.S.
Do you know someone from a foreign country coming to the U.S. to visit? You could be doing them a big favor by telling them about T-Mobile's new Tourist Plan which debuts on June 12th. The Tourist Plan is a short-term service made specifically for those visiting the U.S. for a brief time. If you have friends or family coming to the states to visit, and they were wondering about the high price of roaming, or unsure what they were going to do with their smartphone, this could be the answer. The Tourist Plan costs $30 for three weeks of service. Users receive 1000 minutes of domestic phone calls, unlimited data (with 2GB of high-speed 4G LTE service) and unlimited domestic and international texting to more than 140 locations. And T-Mobile will even pay for the tourist's SIM card and activation. Once arriving in the U.S., the tourist needs to bring his unlocked smartphone to the nearest T-Mobile location. Once inside the store, he/she simply tells the rep, "I want to sign up for the Tourist Plan." The tourist then forks over the $30, gets the phone activated, and is given a U.S. phone number to use for the duration of the plan. The plan is good for three weeks only, and is not renewable. Also, un-carrier features like Binge On are not included. Read that as "Three Feels at Home"
I have 3mobile Feel at home too but haven't used it in the US yet. There are many complaints about throttling down to almost 2G speeds when roaming. Considering it costs £20 for the add-on, the $30 price tag is the same but you're guaranteed 4G speeds. I'd consider it just for my Google Voice number. You can have both. From what I read three for free allows you to call home but not people in the states Tmo would allow you to call people in the states but not people in your country. The one thing I like about this T-Mobile deal is they are including the cost of the SIM card. If you went to AT&T , Verizon , cricket , etc etc. they would charge you between 5 to 15 for a sim card on top of the service. The only AT&T customers that do not have to pay for activation fees or SIM card frees are prepaid iPads. If you have a phone they charge money for the sim. I wish this can be ordered online and ship to the countries, so the tourists have the connection right off the plane. Also, wish it is like a prepaid and one can activate anytime, so one can buy it and use it whenever in need. This would be a good option for travelers that don't need 5GB of data and want more than 100min that come with their other $30/mon plan. Would be a good deal, if youre travelling with less than 3 people. Last December I used t Mo when travelling in LA, got a $120 4 week prepaid plan for 5 people, which means $24 per person for unlimited calls text data and international calls. 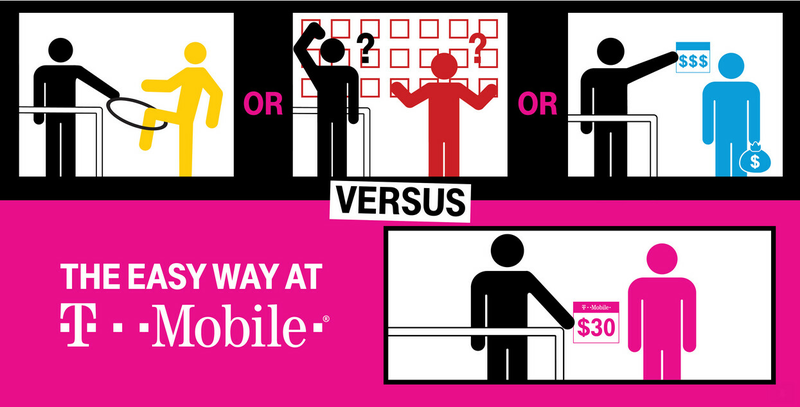 Even if you split only among 3 people, $40 is only 10 dollars more for unlimited LTE data.